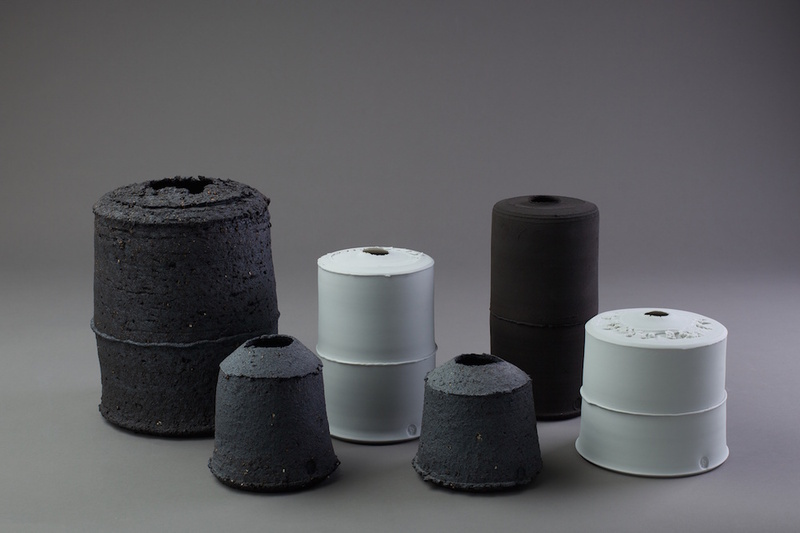 Tanya Gomez graduated from the Royal College of Art in 2010 where she developed her techniques of working with porcelain. Since then she has been establishing a growing reputation, from her base in Sussex, exhibiting internationally and working to commission. 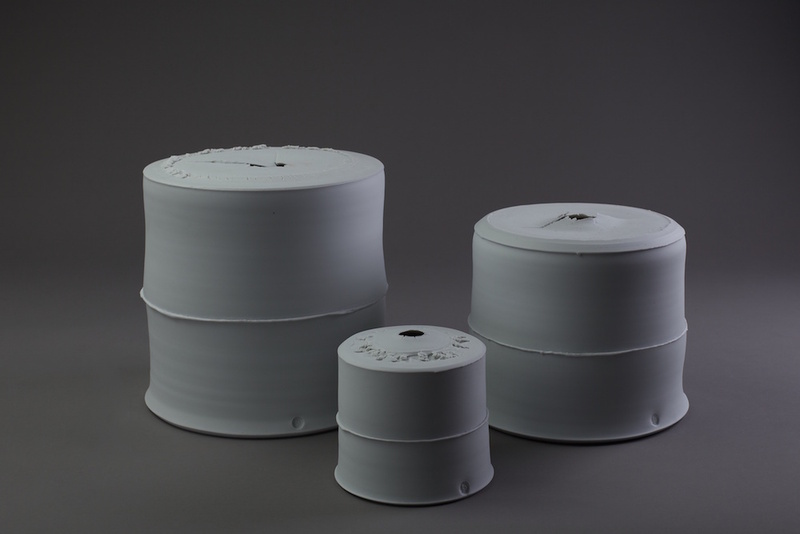 Working in porcelain, I use a range of approaches in my throwing to create forms that will capture qualities of fluidity, movement and provide a sense of space. 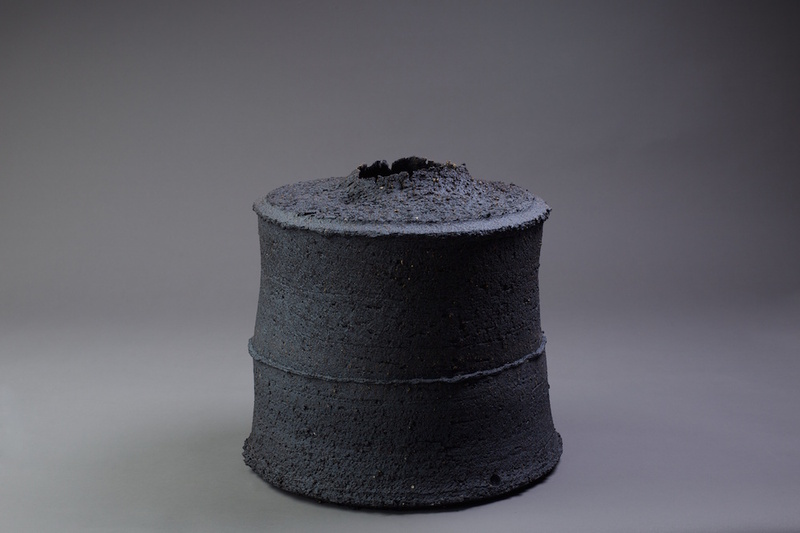 It is through a process of energetic making and rigorous selection I have learnt to observe how the clay works and find new ways to go forward. The throwing is dynamic and cutting and assembling make the forms. I make these works conscious of natural phenomena, dramatic landscapes and the diverse qualities of the sea. I spent five years working on private yachts travelling the globe absorbing colour, shape and diverse cultures. I have also always lived by the sea and it is where I currently have a studio. All of these inspire my work. A further strand of my work looks at large thrown vessels; the pieces are thrown in parts and assembled to produce larger surfaces that are animated through the throwing and glazing. The forms have an impact both individually and as a group. By observing the lines and dimensions of the pieces I am able to create vivid landscapes and fluid architectural forms. I am fascinated by the idea of creating an overwhelming sense of something that is so overpowering that one cannot comprehend its boundaries. This sensation can be translated into a piece by following a line, and using rhythm, balance, tension or colour.